My name is Brian Kolfage, I’m a veteran of The United States Air Force. 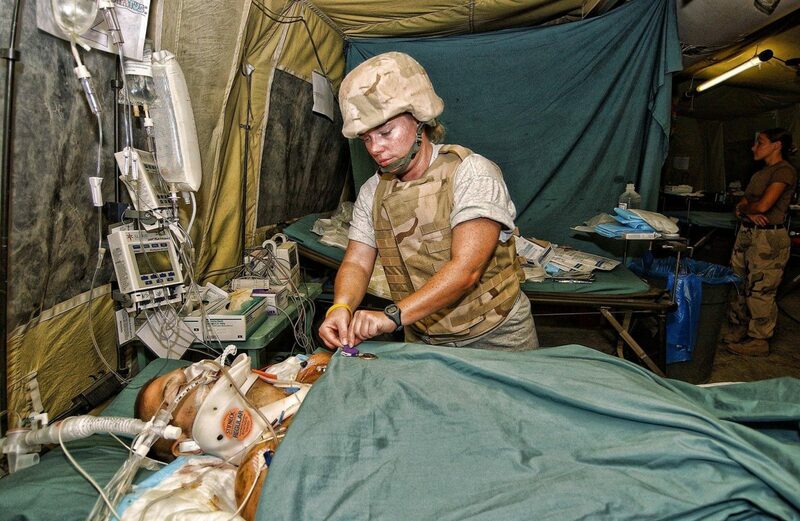 I was severely wounded in Combat, on 9/11/2004 while serving in Iraq. I lost both my legs entirely and my right hand. I’m the most severely wounded US Airman to survive. I worked alongside Democrat Congresswoman Gabby Giffords on her veteran advisory committee. I endorsed her, have great respect for her, and helped her win her final election with a pivotal campaign commercial. In Giffords’ Time Magazine interview, I was honored to be named as someone who inspires her. I’m not a “conservative.” I’m not a “liberal.” I’m an American, with deep beliefs in what our country stands for. I proved this by fighting for America, knowing I may not return home. My life was spared, but I paid for freedom with one arm and both my legs. No title represents me more than being a proud American. This is why I joined the military. I love my country, and I love my country’s people. Which is why I vowed to protect them and the freedoms that I inherited. Being born in America was the greatest gift, which I came to appreciate at a young age and vowed to do anything to repay this gift — to maintain our incredible freedoms and privileges as citizens, and to ensure these precious gifts to every American are never taken for granted. I’ve given limbs, I’ve stared death in the face first hand. I’ve seen my legs blown to pieces and lost friends. 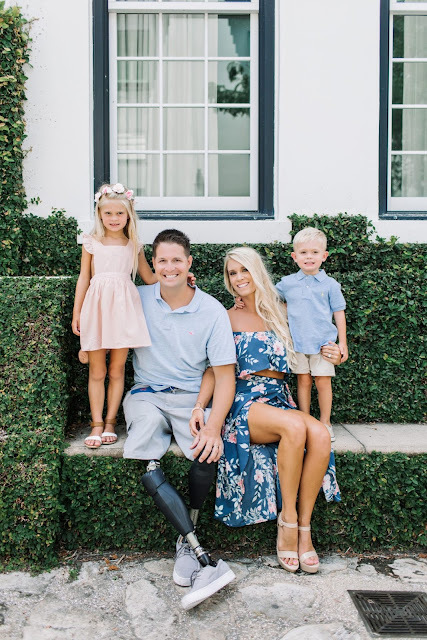 Losing my limbs meant comparatively little to me because I gave it fighting for what I believed in; I believed America was the greatest country because we had freedom … and I’ve seen what oppression looks like. My sacrifices are nothing compared to what previous generations made in WWI, WWII, Korea and Vietnam. Many Americans have fought for these political freedoms … freedom of speech … and today it was all just blown up. What we’re seeing now is a war on conservatives and a war on President Trump. It’s not by mistake, this happened weeks before the midterms. This nation is no longer what I loved or the one I fought to defend, which I paid a huge price for. People are being punished for their simple beliefs — beliefs of freedom, beliefs of religion, beliefs on anything that differs from that status quo. If you have an alternate view, you’re attacked — physically, financially and socially. Tech giants have been implementing their own bias into business, blatantly attacking anyone who has a view that differs from theirs. Just like we saw with Justice Kavanaugh and his family. And it’s only going to get worse. Now, it’s me, my family, and my young children in the line of fire. My income as a father and husband is threatened. This isn’t the right to free speech I gave my legs and arm to defend. Three limbs wasn’t enough for some … now my livelihood is gone with it. 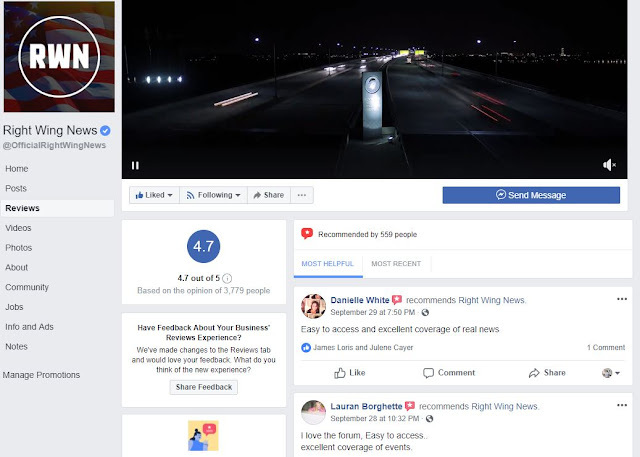 It is true: I have been managing the Right Wing News Facebook page, and have been involved with the brand for many years. And just today, Facebook took down our Facebook page, cutting off all contact we had with the millions of people who signed up to follow us, the millions of people who liked what we were sharing online. I took over managing the page when John Hawkins decided to step aside to pursue other endeavors. John and I have a great relationship and I was honored to have the torch passed down to me. We had a coveted, verified blue check mark 3.5 Million fans, and I invested over $300,000 in ads at Facebook’s own request, nearly begging us to spend spend spend just to reach our fans … whom they kept making more difficult to reach with every passing year. 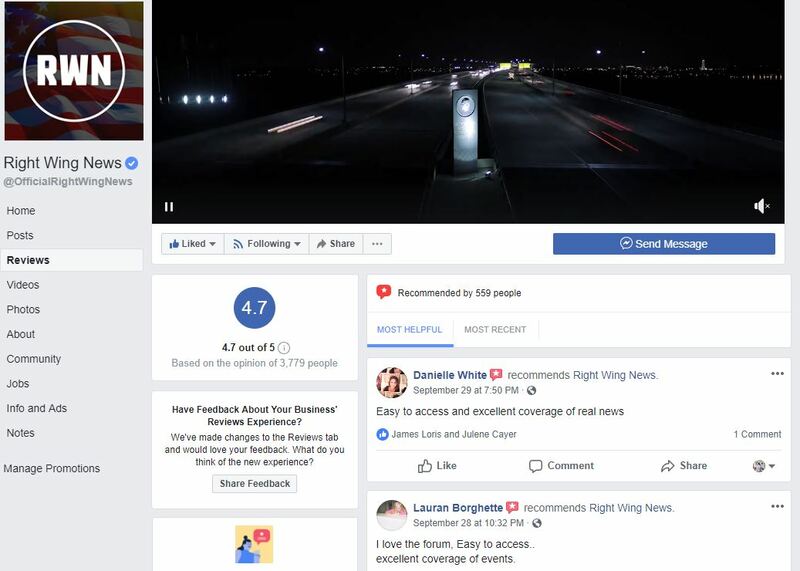 Never once did Facebook come to us to say there was any issue with Right Wing News or our other pages. Never. But they sure loved taking our money. We did run multiple Facebook pages; Facebook allows businesses to have more than one page, and we did own them and had them for years. We were not “spamming,” we were not using fake accounts, we were not doing anything “wrong” … except we supported President Trump, and apparently that’s not allowed. Katie Harbath, Facebook’s head of Global Politics, knew all this for years about our pages and accounts. It was no secret. Why wouldn’t they just come to us if there was a problem? We were one of the biggest ALL ORGANIC conservative news sites, and very reputable. We spoke to Katie at least once a month, and any time there was an issue, we worked together to resolve and ensure it never happened again. We were very proactive and always remained on top of Facebook’s policies, rules, and regulations. We have all the emails to back this up. We reported bad actors to Facebook whenever we saw it. We were a good standing member of the Facebook community and wanted to ensure no misinformation was being pushed by foreigners. Contacting Facebook to report foreign influence. We’ve had very close working relationship with Facebook’s Katie Harbath, constantly pushing her to remain open with us so we could stay in compliance with their ever changing guidelines. Recently I begged her over and over to schedule a webinar with us so we could ensure compliance; after months of dialog it was finally set up for last week, but sadly she pulled the plug before it happened. Right Wing News NEVER had a major problem with fake news, misinformation or spam. We had a rating of 4.7 stars out of 5 with over 3,000 reviews. We were the very epitome of proud Americans. We always informed Katie Harbath of issues, and weeks ago you can see we were trying vigorously to resolve things and get a briefing on new rules and regulations. Something that they never allowed us to have. They never wanted us to succeed, they just wanted our money and then when we stopped paying for ads they cut us off. I begged Facebook for help and they ignored me! After they wrongfully removed my page in January, I hired a law firm to represent me and I got it back. Right when Facebook made changes to rules I begged them for help, we always followed the rules and wanted to remain compliant. Why did it take 9 months of begging for a phone call to finally get one scheduled 1 week before they took down Right Wing News? And then they canceled it! It’s no secret that Facebook has employees who hate everything about us. A few months ago a Facebook employee blacklisted my email so I couldn’t contact employees to have an open dialog to resolve issues. We have had other Facebook employees change our page settings and names to “Comedy Club.” This type of malicious behavior is everywhere in Facebook. They hate us because we lean conservative. CLICK ON EMAILS BELOW- PROOF FACEBOOK CONSTANTLY ATTACKING MY PERSONAL ACCOUNT AS FAKE EVEN WITH GOV ID. Keep this in mind: I gave three limbs, came home, and was attacked for my political beliefs. Facebook also deleted my other business page. I own a coffee company called Military Grade Coffee company. We don’t post politics, we sell coffee and support veteran charities. Facebook is maliciously attacking my way of life because of my beliefs, and they don’t care. Attacking my personal business because of my political view. What Facebook has done is illegal. It’s a malicious coordinated attacked on everything I fought for and everything generations of Americans fought for. And this is exactly why a Facebook Engineer making 6 figures a year walked out and quit his job today, over the assault on conservative beliefs within his former company. The New York Times even stated that Facebook made this calculated move to silence thousands of voices (and millions of forwarded messages) because of the upcoming midterm elections. I couldn’t believe the audacity to openly state this so blatantly. The NYT just accused Facebook of political warfare for the Left using the nation’s most public platform of communication (more influential than TV or radio) … and this is an FEC Violation. But then I thought that there’s no way the NYT just said that; surely it’s misquoted. I then checked Facebook Newsroom article they sent out explaining the many account closures. Two lines from their press release screamed at me. Facebook validates the New York Times article that explained, simply put, that Facebook closed down conservative Facebook pages ahead of the US Midterm elections because they didn’t believe political debate on those pages were legitimate to them. 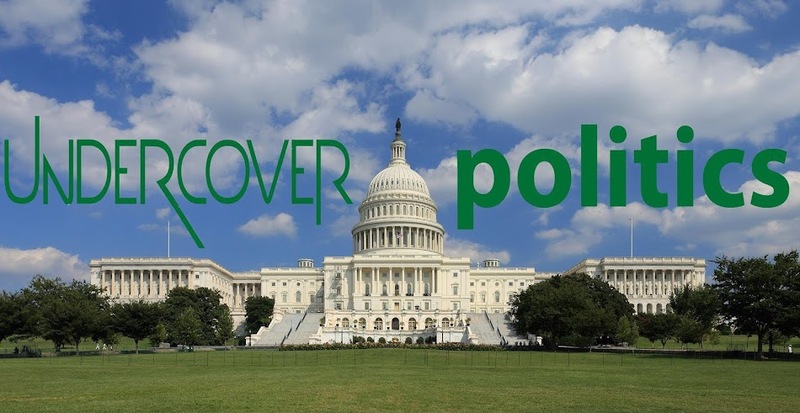 This boils down to … WHO gets to decide WHAT political opinions are legitimate or illegitimate? The New York Times LIED about Right Wing News, our articles were not false! Read here. I can’t believe this is where we are at in America today. Liberals are losing elections, losing everything, President Trump is steamrolling them and the only thing liberals can do is attack everyone that disagrees with them from within, attack our freedoms, attack our beliefs, attack our families with death threats and physically assault us on the streets, just like we saw most recently with justice Kavanaugh. Wake up America, this is not freedom, these people are waging a war right in front of your face; literally in front of your face. The very pillars of our society are crumbling, and it’s up to you to stand up and fight for what’s right. This is happening to someone who sacrificed so much for this country, and it is happening to everyone else too. And so we must draw the line. We need President Trump, the US Senate and Congress to step up, do their jobs to protect Americans and investigate these crimes by Facebook and their employees. Everything Facebook and the New York Times said about us is completely false as you can now see. We didn’t push misinformation, we didn’t use fake accounts, we were not spamming, we are not Russians. I am an American Veteran and I take pride in everything as do to ensure our brand was held to the highest standard and I tried vigorously to work with Facebook to get assistance but was ignored because I’m a conservative! We are demanding that Facebook restores Right Wing News or we will take legal action all the way to the highest level possible. This is a clear attack of our rights as Americans and we urge everyone to follow my personal military fan page Brian Kolfage which has a blue check mark for further updates or media requests.